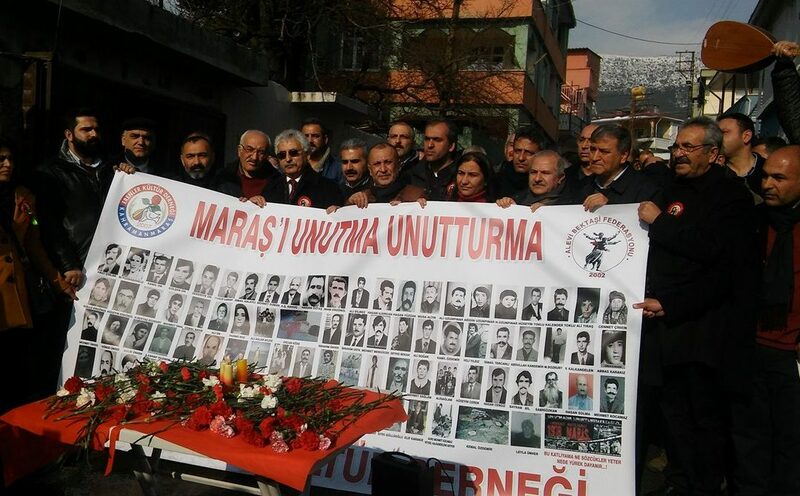 Kahramanmaraş governor has banned all public events, gatherings and commemorations days before the 39th anniversary of the Maras massacre. All meetings, demonstration marches, rallies, commemoration events, setting up stands and tents, press statements and similar activities were banned for a month, a statement by the governor said on Dec 15, four days before the massacre’s anniversary. At least 111 Alevis in Turkey’s eastern province of Kahramanmaras were killed by right-wing extremists 39 years ago between Dec 19-24, 1978. The governor said the decision was made due to the State of Emergency, declared following the July 15, 2016 coup attempt. Turkey survived a military coup on July 15, 2016, after which the government declared a State of Emergency. Several opposition demonstrations were banned during the emergency rule and thousands of people were arrested. Governors in several provinces have recently banned events and demonstrations, including a democracy rally in Izmir, an LGBT meeting in Istanbul, an art festival in Tunceli, and a film festival in Diyarbakir, due to post-coup emergency rule.